Urgenci, the international network of Local Solidarity Partnerships for Agroecology between producers and consumers (LSPA) and Community Supported Agriculture (CSA) has recently signed a Memorandum of Understanding with the Food and Agriculture Organization of the United Nations (FAO). As part of the 3-year mutual commitment, the Mediterranean network, including members of Urgenci and their allies, Terre et Humanisme, has recently implemented two Learning Journeys for the Urgenci Mediterranean network, where members of national networks around the Mediterranean Basin have been able to carry out field trips in Turkey and Lebanon to gain a deeper understanding of the realities and challenges of the networks in these countries, share ideas, and compare them with their own practice. The Learning Journeys were supported by FAO’s through the modality of South-South cooperation among Non-State Actors. Outcomes of the activities will help to jointly structure the future capacity-building tools and programme planned for 2018. Around twenty network facilitators, producers, consumers, and food sovereignty activists from 11 Mediterranean countries (Algeria, Egypt, France, Greece, Italy, Jordan, Lebanon, Palestine, Tunisia, Turkey, Syria) participated and shared their experiences. The host network was Soils Permaculture Association – Lebanon, which focuses on permaculture, training in school gardens and beekeeping, as well as initiation in food growing techniques for refugees and awareness raising with the wider public. The group was accompanied and supported by both a member of the FAO Lebanon country representation and FAO RNE Regional initiative on Small-scale Family Farming based at the FAO office in Cairo. 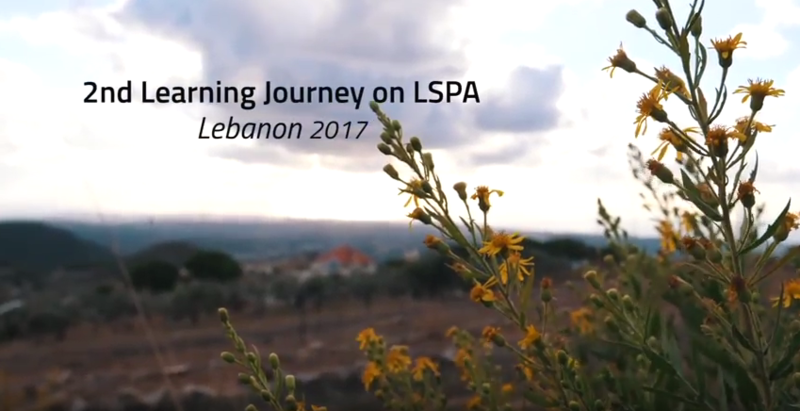 The experience sharing enabled participants to grasp some of the complexities of food systems in Lebanon, and exchange with local actors. A small delegation of participants and members of FAO was also received by the Ministry for Agriculture; they expressed keen interest in the work being done with local producers and consumers. The farmers’ market, “Souk el Tayeb,” is an important public space that is helping to change attitudes and raise awareness in Beirut. It has existed since 2004. As the founder, Kamal El Mouzawak said “We are aware of the essential nature of preserving agricultural land to maintain a territorial food system in Lebanon and ensure small-scale local farmers who are growing healthy clean food are connected to local markets”.